We have some exciting news to share, as we have announced the appointment of Joe Maraschiello as Business Development & Region Director to lead our expansion in North America. After more than a decade of success in the APAC region, DA marks the launch of a North American and international expansion effort with the opening of an office in Toronto. Joe brings to DA extensive experience with providing strategic advice on customer engagement solutions in North America. His mission is to position DA as a leading customer engagement accelerator through the use of data & technology. 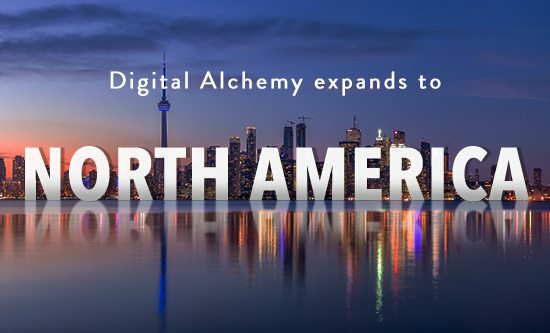 “This expansion is an exciting development for Digital Alchemy. We have grown from three employees in 2003 operating in Australia to almost two hundred employees in seven countries today. We are thrilled to have Joe join us as the face of our North American office. We have the right solutions and expertise in place to help organisations in North America scale their marketing efforts and build one-on-one engagements with their customers. .” said Regan Yan, CEO of Digital Alchemy. Joe has assisted over 35 Fortune 1000 companies in North America affirm their marketing technology goals and successfully helped them implement the necessary capabilities to meet them. Before joining Digital Alchemy, Joe worked at “Top 10” IT consulting firms Accenture and CGI Group, as well as a bespoke MarTech firm. Joe enjoys adventure travel and calls mid-town Toronto, Canada home.